I know, I know, another Regency project on my Victorian blog. 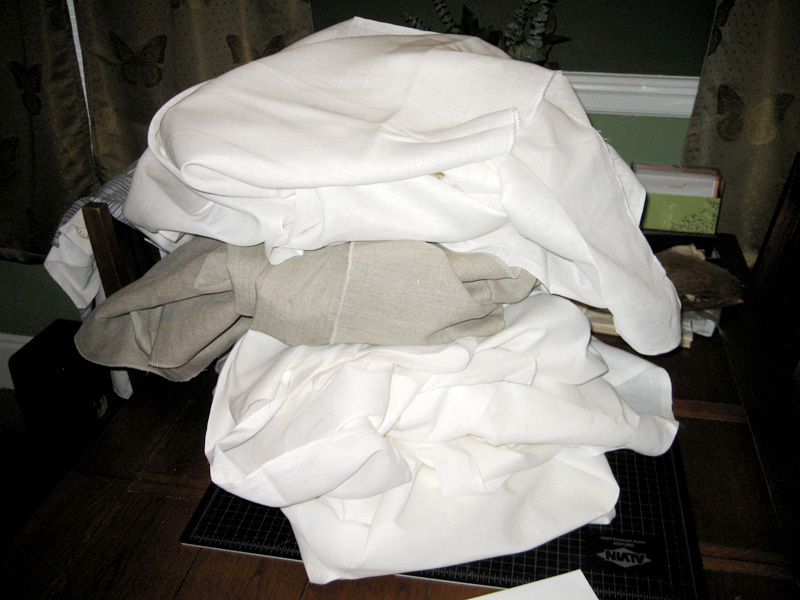 Well, I figured I'd make a simple shirt with this pile of linen I just got. I need to serge, wash, and iron the linen, and then start cutting rectangles. I'll post my progress as I go along on this project.